Noah Gundersen is seated at a cafe in a converted garage in South Seattle. He lives nearby, and suggested the place. Twenty-six and chiseled (after our meeting, he headed for a yoga class), Gundersen has completely grown out of any perceivable awkward stage, though a walk through his music catalog will reveal some deep impressions left from his early years. He once described his style as “sad, slow music,” and there is a sense of the tortured emo kid about him. On this day, he’s dressed in a faded white tee revealing two full sleeves of tattoos, and I’m reminded of Dashboard Confessional’s Chris Carrabba, who Gundersen met on a shared tour and now counts as a friend. He’s ditched his long set of dreads – which often attracted comparisons to Counting Crows’ Adam Duritz – for a tidy mop of shoulder length dark brown hair. Gundersen, who left his family home at 18 for the bustle of Seattle’s music scene, did his growing as a songwriter under the eye of the Emerald City’s notoriously harsh media and slow-to-warm fans. Details like “dreadlocks” and facts about his “religious, homeschooled” upbringing peppered the scant press he did receive during those early years. These days, Gundersen is an accomplished, hard-working music professional. He could boast of his partnership with the esteemed Nashville-based indie folk label Dulatone, song syncs on shows like Sons of Anarchy, various producer credits, a model girlfriend, and industry friends like Carrabba and David Bazan. Instead, he takes our conversation through his decidedly unhip childhood (see: “religious, homeschooled”) and the forces that shaped his journey through music. It’s fair to say few Dylan fans came to admire his music through the albums he released during that period, and within that set, far fewer who would admit to actually preferring an album like Slow Train Coming or Saved to, say, his earlier folk recordings. Gundersen can relate to those albums, and, like Dylan, found that religion wasn’t going to stick. Nonetheless, it became something that has informed much of his songwriting and performance. A cursory listen to “Poor Man’s Son,” the opening track from Gundersen’s full-length debut, Ledges, is a good example of his arresting command of both voice and style. “Stone cold broke in the middle of the winter/Oh, like a poor man’s son,” he sings a cappella, buoyed by his sister Abby’s gentle harmony. Meant to anchor the issuing songs, it’s a simple melody that by its end has transformed into a medley of the traditional folk hymn, “Down in the River to Pray.” These days, it’s the song that begins most of his live shows, as it was recently when he opened for Emmylou Harris and Rodney Crowell at the Woodland Park Zoo in Seattle. It takes a good amount of fortitude for a homeschooled kid from Centralia to land a gig like that (he had, in fact, first shared a bill with Harris a few years prior), but that sort of determination has been part of Gundersen’s ethos since the beginning. From 18 on, he was touring constantly, at times living out of his car and couch-surfing with friends, performing whenever and wherever he could. He and Abby started a short-lived indie band called The Courage, which broke up in 2011, after Gundersen relocated to Seattle. Before the split, though, they toured and released two albums, Live at the Triple Door and Fearful Bones, while Gundersen simultaneously put out his first two EPs, Brand New World and Saints and Liars, under his own name. Things started to pick up when a few songs crossed the desk of Daniel Mendez, a Dallas-based producer. “The world needs to hear this,” Mendez recalls thinking when he first heard Gundersen sing. He had acquired a copy of the Saints and Liars EP, then a rough recording in need of professional polish. Gundersen is half pleading, half questioning, in a mid-range voice that was soon to mature. That kind of lyricism deeply moved Mendez, an industry veteran who had been involved in the rock world and was looking to switch gears to folk artists and singer-songwriters. Though Gundersen couldn’t afford to pay him, Mendez took the young artist on, first mixing the Saints and Liars EP, then the one that followed, 2011’s Family, an effort that landed two tracks – “David” and “Family” – on episodes of Sons of Anarchy (“Family” also appeared on an episode of The Vampire Diaries). As Gundersen’s career gained footing, Abby continued to collaborate with her brother, contributing violin and cello parts as well as harmony on every release and co-producing Ledges, an album at first slated to be produced by Mendez. Differences of opinion regarding the project led Mendez and Gundersen to part ways – both speak of this with hints of regret – but the experience inspired Gundersen to pursue a newfound love of production. “I fell in love with the process,” says Gundersen, who, along with Abby on Ledges, credits the “help of the musicians” as co-producers on his most recent release, Carry the Ghost (August 21, Dualtone). At the helm of his two full-length albums – both recorded at Pearl Jam guitarist Stone Gossard’s Studio Litho in Seattle – Gundersen began to incorporate more family members into the fold, like brother Jonny, who plays drums on both, and sister Lizzy, who adds vocals to Carry the Ghost. As happens so often with musical siblings, there’s an intuitive bond that makes working together natural and effortless. Yet it’s Abby, now 23 and the second oldest biological Gundersen, who many say truly activates Gundersen’s delicate arrangements. For her part, Abby says, “I definitely feel like I’m a very important part of what Noah does. On a relational level, we’re just really comfortable with each other and we’ve toured a lot together. He’s the type of person I can be quiet with, or goof around with. Musically, I can pick up on what I need to play, or what I need to sing. We hear each other out pretty well. It’s a natural connection. Because of this, Gundersen’s star has continued to rise, and his voice has grown stronger, maturing into something deeper, and more rich. He recorded with a full band on Carry the Ghost, a move that ushered in a more rock-based sound, offering added weight to his words. Over coffee, he elaborates. “I was reading a lot of existential philosophy, writers like Ortega and Nietzsche,” he says. “A lot of this album is about coming to terms with the gray. There’s a little bit of black and a little bit of white in our world, but mostly it’s just gray. Coming from my background, that has been a little difficult; there was a lot of subconscious stuff that I didn’t really realize I hadn’t got over. You can do a lot worse as a kid than having Bob Dylan records to listen to. In Gundersen’s case, those formative years fueled a love of the old folk guard that would continue to grow as he did. Once he branched out beyond Dylan’s Christian albums, he began to incorporate covers like “I Shall Be Released” and “Like a Rolling Stone” into his live sets. He went on to discover Gram Parsons, Emmylou Harris, Johnny Cash, and Neil Young, and the next-generation acolytes he’s sometimes compared to, like Jeff Buckley, Ryan Adams, and Conor Oberst. With nothing to hide, his family’s steam in his sails, and willing friends to share the story, Gundersen’s approach to songwriting aligns with the tradition of a strong influence like Dylan, who not only delves deep into “the gray,” but also continues to explore the range of his creative persona, to famously varying degrees of success. While Dylan uses poetry, innuendo, and suggestion, Gundersen is more directly expressive, but the motivation is often the same: to work it out. It’s no surprise, then, that Dylan casts his shadow in Carry the Ghost’s “Show Me the Light” from the very first line. A lonesome, echoing guitar curls into Gundersen’s account of his first love, “the worst and the best thing that happened to me,” he sings. “It’s one of my favorites on the album,” says Ramirez, whose latest album, Fables (August 28, Thirty Tigers), was produced by Gundersen. He feels a kinship to the tune since he was in Seattle recently to record another Dylan cover with Gundersen: a video of their version of “Girl from the North Country.” It’s a poignant, heartfelt duet. Ramirez has a dust-caked quality to his singing that recalls the back roads of his Texas home. Gundersen’s voice, meanwhile, is distinct and clear, aided by a brooding piano. Yet, intentional or not, Gundersen toes that line. With a love for the greats and Abby with him at every step, the pair is not unlike fellow road warriors and siblings Bobbie and Willie Nelson. With his brother Jonny often behind him on drums and sister Lizzy occasionally on backup vocals, there are real intimations of a family band reminiscent of the Carpenters, the Carter Family, Johnny and June Cash, and even the chosen-family vibe of the Civil Wars. 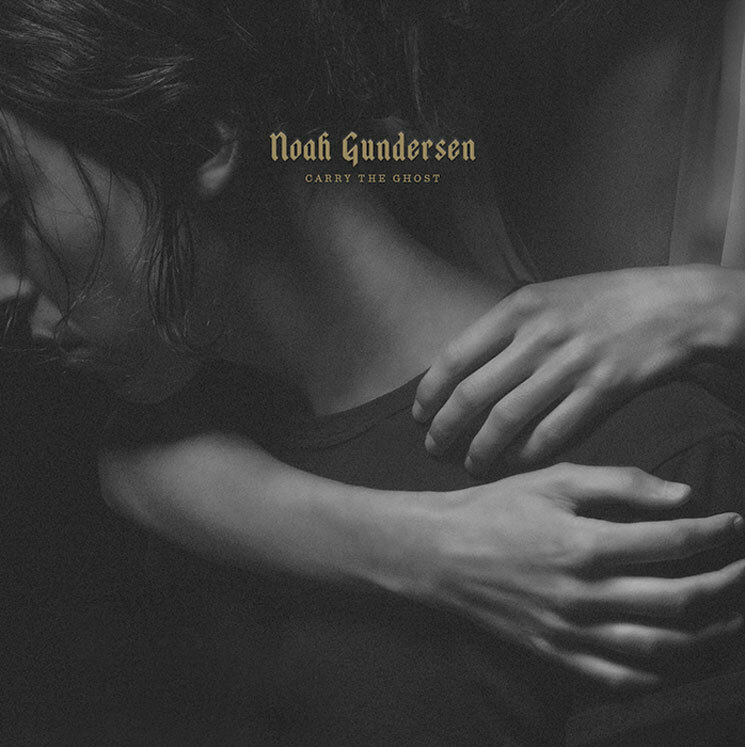 Yet one wonders where Gundersen might be without the support of his family, if his music would express the depths of intimacy and vulnerability it can on a song like “First Defeat” from Ledges, a wrenching ballad about toxic love. Indeed, all this soul searching is not without its results. Gundersen’s path has been a winding one, but along the way he’s expanded his family and added handpicked new members to the Gundersen musical tribe. With that comes all the requisite love and support to keep growing, and, in one particular development, a romance to inspire new heights. You’ll notice a pair of exquisite hands on the new album cover. They’re not so much draped as they are carefully arranged around Gundersen’s chest and shoulders, his face just beyond the frame. It’s a black-and-white photo that gives the impression of an old Dutch oil painting, just intimate enough to suggest the two might be lovers. “Whose beautiful hands are these?” I ask, dating myself with a reference to Seinfeld. A warm grin comes over his face.